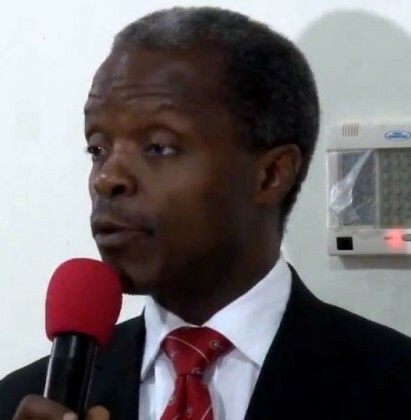 Until there is stability in the power sector, electricity tariffs cannot remain at the levels they are currently, according to Vice President Prof. Yemi Osinbajo, SAN. In a similar vein, the Vice President also made it clear at the meeting that a review of the CBN restrictions on foreign currency is not imminent. You cannot have that cost effective tariff without some pay. At the moment, (when you compare) how much it costs to produce power, and the amount of power that is generated, the losses on account of distribution are significant. In some cases you have up to 40% losses in distribution, and of course it is the DisCos that have to take that burden. “But the most important thing is that the cost of power is reflective of costs that have to be borrowed at every stage of the value chain and today the cost of power, if it’s going to be reflective in any way is simply what it is. It will be very difficult indeed, except if we are going introduce yet another subsidy and by the way, a fair amount of that goes on already in the way that government supports the GenCos and the DisCos. “But i think that we must be ready to accept that for a while, until things stabilize somewhat, tariffs cannot remain at the levels at which they are today, they cannot remain at that level, and that just simply is the truth of the matter.